Clinical studies have repeatedly indicated that CBF is decreased during the first 24 h and especially during the first 6 h following severe head injury. 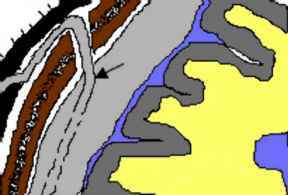 The decreased flow is usually not at the level of major arteries at the base of skull but at the level of arterioles and capillaries (39-43). 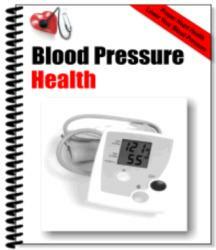 Traditionally we have used perfusion pressure as an index of adequacy of cerebral perfusion. However, brain perfusion can be more accurately imaged in head trauma patients using different techniques, including stable xenon-CT (44,45) and single-photon emission computed tomography (SPECT) (46,47). These brain perfusion imaging techniques suffer different drawbacks. SPECT does not afford quantitative results, but only a qualitative comparison between the right and left hemispheres (48). On the other hand, stable xenon-CT is quantitatively accurate but requires specialized and expensive equipment. A typical study is relatively long, approx 10 min. Side effects, such as respiratory rate decrease, headaches, nausea, and vomiting, as well as convulsions, are observed in 4.4% of patients (49). 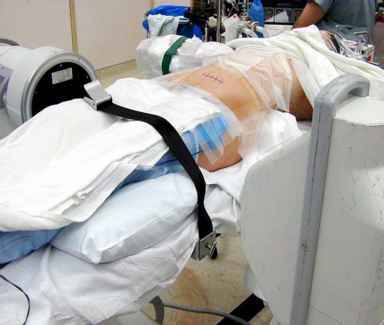 Consequently, stable xenon-CT is difficult to perform in severe trauma patients in the emergency settings. Recently, perfusion-CT has been introduced as a simple imaging technique to be used in routine clinical practice (50,51). Perfusion-CT involves dynamic acquisition of sequential CT slices in a cine mode during intravenous administration of nonionic iodinated contrast material. We believe that the perfusion-CT technique can be implemented in all hospital institutions equipped with CT units, which are usually available around the clock and 7 d a week. It necessitates neither specialized technologists nor extra material but only requires dedicated postprocessing software. It affords real-time postprocessing, with a complete set of parametric maps typically generated within 5 min of completing data acquisition. 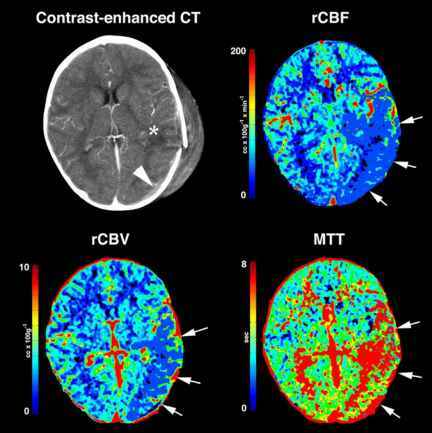 Perfusion-CT provides quantitatively accurate assessment of brain perfusion: its results have been validated by comparison with stable xenon CT (52) and positron emission tomography (PET) (53) (Fig. 5). Perfusion-CT can easily be performed as a complement to conventional non-contrast and contrast-enhanced cerebral CT and does not interfere with the contrast-enhanced thoracoabdominal CT survey performed in severe trauma patients (52). In our institution, as in most trauma centers, we obtain contrast-enhanced chest, abdomen, and pelvic CT routinely in severe trauma patients, to rule out aortic injuries. The contrast material administration is performed even in obtunded patients unable to report possible previous contrast reactions and without knowing the renal function, because the risk associated with these conditions is outweighed significantly by the risk of a missed traumatic aortic injury. The dose of contrast material (40-50 mL) added for the perfusion-CT is minor compared with the dose used for the chest, abdomen, and pelvis (100-120 mL). Perfusion-CT affords insight into regional brain perfusion alterations caused by head trauma, with the major advantage of being able to detect regional heterogeneity (52). It has a higher sensitivity for the diagnosis of cerebral contusions compared with admission noncontrast cerebral CT, with a sensitivity reaching 87.5% vs 39.6% for conventional CT (52). Perfusion-CT results show specific patterns, linked to cerebral edema and intracranial hypertension (52). Finally, the number of arterial territories with "low" rCBV values on perfusion-CT has a relationship with functional outcome as early as the time of admission (52). The potential repercussions of perfusion-CT on the clinical management of severe head trauma patients remain to be evaluated. However, patients with altered brain perfusion-CT results might be considered for more aggressive and earlier treatment to prevent intracranial hypertension, whereas patients with preserved brain perfusion might benefit from less invasive treatment. Fig. 6. Subdural drain connected through a closed system to a draining chamber. Note the oblique drill passage (arrow) to prevent entrance into the brain. patients with chronic and subacute SDH, Lind et al. (57) found less recurrence if drains were used after burr hole evacuation of the subdural hematoma. Recurrence rate was 19% if a drain was not used vs 10% if a postop drain was taken into consideration (54). In the Williams series of 62 patients with chronic SDH, of the 11 patients who had twist drill evacuation of their SDH, 64% needed repeat surgery because of recurrence (55). Using drains after SDH evacuation was also recommended by Marwalder and Weir (13,56). Overall, it is recommended that in patients with subacute and chronic SDH without a thick membrane less invasive procedures be used and that craniotomy be reservde for resection of thick membranes. In using twist drill holes, one should remember to place the drill a little obliquely to prevent the entrance of the drain into the brain tissue, as shown in Fig. 6 (arrow).